We are dedicated professionals, based in London and Brussels, with freelance staff in all of the EU and EFTA countries. Patricia set up Spark Legal Network in 2011 to respond to the need for a European legal network offering solutions on cross-border legal issues. Patricia has an LLB (2000) and an LLM (2001) in Law at the University of Amsterdam, complemented by studies (French law and International law) at the Université de Paris 1 Panthéon-Sorbonne in Paris. 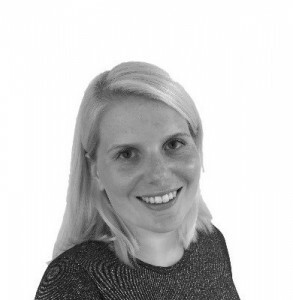 She has worked in various legal research and advising roles specialising in European law and headed the European team of legal editors at Caselex, the online legal publisher for national case law interpreting EU law. 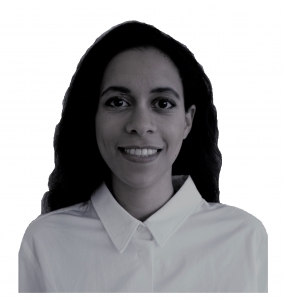 Apart from leading the team and being responsible for the strategic direction of spark, Patricia has led/leads studies in the area of European public procurement, key enabling technologies, cloud computing, data location restrictions, energy efficiency, free movement and market access and data protection. She speaks Dutch, English, French and Italian. Peter received a BCL from University College Cork in 2007, and an LL.M from Dublin University (Trinity College) in 2008. He was a Blue Book Stagiaire with the European Commission’s Directorate General for Internal Market and Services in 2010, and thereafter trained with a top tier Irish law firm, and is qualified to practice law in Ireland, England and Wales. In 2014 he completed his Postgraduate Diploma in Economics for Competition Law at Kings College London. Peter is currently providing legal support to the project concerning the establishment of a Core Service Platform between participating Member States and operation of cooperation mechanisms for Computer Emergency Response Teams for DG Connect, and managing a study on the independence of National Regulatory Authorities for DG Energy. Peter speaks fluent English and French. Alessandra received her PhD in Employment law at the University of Bergamo in 2015. She was a visiting researcher at the University of Middlesex in London where she worked on Employment and Discrimination law. She worked as a researcher and legal advisor on multiple projects and research in Italy. Previously she received a BA in Law and a Masters in International and EU Law both at the University of Pisa. 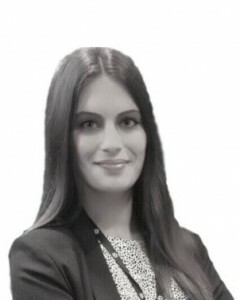 At Spark Alessandra currently works on projects on data protection and has recently managed a study to support the review of Directive 2003/98/EC on the re-use of public sector information across the EU28 Member States for DG CONNECT. Her mother tongue is Italian and she speaks fluent English. 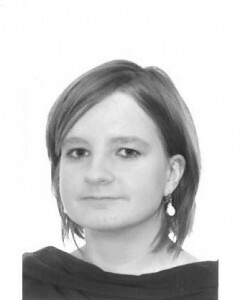 Esther graduated from the University of Groningen with a Master’s Degree in International Political Economy (2013) and also obtained an LL.M in European Law from the University of Edinburgh (2015), with a focus on EU Competition Law. As a consultant in Brussels, Esther has worked closely with numerous European institutions and stakeholders on several research projects. She has been the Dutch legal editor for Caselex, an EU legal information service, since 2015. She speaks fluent Dutch and English. Kaja obtained her LL.B in English and German law at King’s College London, followed by LL.M in German and European Law and Legal Practice at Humboldt University in Berlin and MA in EU International Relations and Diplomacy Studies at College of Europe in Bruges. She underwent numerous internships including in the Council of Europe and in the Polish Embassies and Representations across Europe, during which she conducted various research projects. In 2015/2016, she completed a Blue Book traineeship in the European Commission, DG HOME, where she worked on the Passenger name Record Directive and PNR negotiations with third countries. She also worked as a paralegal – document reviewer in London. At Spark Kaja currently works on projects in the fields of energy and data protection. Kaja’s mother tongue is Polish, she speaks fluent English and German, has a very good command of French and a basic understanding of Dutch and Turkish. Maria received an MA in European Interdisciplinary Studies from the College of Europe (Natolin) and a four years Degree in Law from the University of Málaga, complemented by studies (Belgian and European law) at the Haute Ecole Libre Monsane in Liège. She has participated in several Youth in Action Programmes organised by the European Commission and has worked with the Council of Europe as organizer for an International Conference on Terrorism and Organised Crime. She has also completed an internship at the Court of Justice of the European Union, where she was contracted as a contract agent. Currently at Spark, Maria is working on a study that aims to assist the European Commission with its assessment whether to propose an adaptation of the minimum training requirements for the profession of nurse responsible for general care under Directive 2005/36/EC. Her mother tongue is Spanish and she speaks English, French and Italian. Alexandra holds a PhD from the University of Strasbourg. Her thesis examined the relations between the EU and the Council of Europe. Adopting an interdisciplinary approach that combined legal and historical research, she particularly dedicated her research to their cooperation on justice and home affairs issues. Furthermore, she obtained a Master’s degree in International Private Law from the University of Strasbourg, as well as an MA in Political and Social Sciences from Science Po Strasbourg. 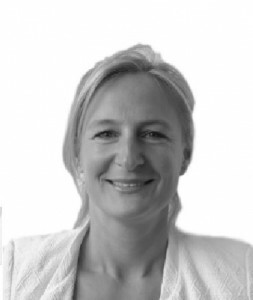 Being a certified lawyer in Luxembourg, she has professional experience both as a lawyer and a policy advisor. Before joining the consultancy, she worked as a Bluebook trainee with the European Commission’s Legal Service (CFSP and External Relations) but also as a coordinator for a Workshop organised by the University of Victoria (Canada) on migration law. In addition, she was a research assistant in a European Parliament’s launched project as well as a policy officer on sports law for a Brussels and Paris based Think tank. Her mother tongues are French, German and Luxembourgish, she is fluent in English and she has a basic understanding of Dutch and Spanish. Célia received a double Bachelor’s degree in Law and Languages from the University of Grenoble and a Master’s degree in European and International Law from the University of Lyon where she founded a student association. During her internship at the International Institute for the Unification of Private Law (UNIDROIT), she undertook research in European comparative law on effective enforcement and participated to the Regional civil procedure rules project. She has also completed an internship within the legal department of the European Maritime Safety Agency. Her mother tongue is French and she speaks English and Italian. Marc is in the process of relaunching Caselex, an innovative service for legal professionals, opening national case law with a European connotation. He has professional degrees in both law and economics. 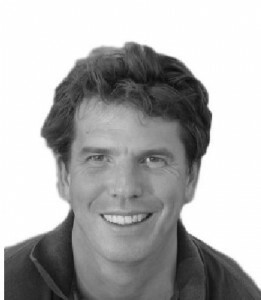 He has been active on the cross roads of regulation and economic impact for more than 15 years, at both national and European level, serving clients in the public and private sector in the Netherlands and beyond (EU institutions in particular). He has published various articles and books, in particular in the field of re-use of public sector information. 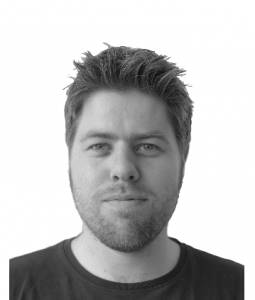 At Spark Marc has recently worked as a major expert on a study to support the review of the Directive on the re-use of public sector information. Marc speaks fluent Dutch and English. 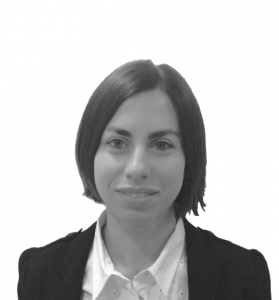 Mariana is an experienced professional with specialist knowledge in EU Law. Her current consultancy work focuses primarily on the GDPR and related information security legal issues. Mariana collaborates with Spark on an associate basis and has previously worked with Spark in multiple projects, tenders and studies in a wide range of topics (e.g. data protection, collaborative economy regulatory framework, data flows, energy law) and for various DGs at the European Commission (e.g. DG GROW, DG CONNECT, DG HOME, DG ENER). Mariana holds a PhD in EU Criminal Law and an MSc in European Studies (Research) both from the London School of Economics. She lectured EU Law at the University of Durham, directed the Durham European Law Institute, held teaching fellowships at the University of Reading and at UCL, collaborated with the LSE in several EU Law research projects and has published is several EU Law related topics. She is also a qualified lawyer in Portugal (non-practising) and worked as a trainee at the CJEU and at the EIB. She speaks English, French and Portuguese. 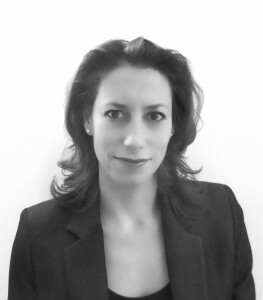 Ioanna Mersinia is an Attorney at Law, based in Athens, specializing in Energy Law. She has a Law Degree from the National and Kapodistrian University of Athens (2009) and also holds a MSc of European Regulation of Network Industries (LL.M), Competition Law and Economics (2011), awarded from the University of Bonn and the Center for European Integration Studies (ZEI). Through her interdisciplinary Master‘s studies she specialized in EU energy regulation and economics and in particular in the electricity and natural gas industry. 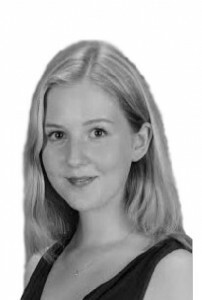 Furthermore, she is a PhD candidate of the University of Eastern Finland majoring European Energy Law with a special focus on the applicable EU framework for natural gas infrastructures. 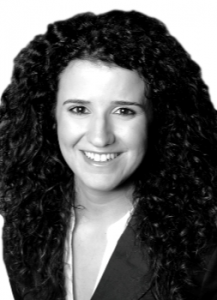 Ioanna Mersinia is a member of the Lawyers’ Bar Association of Athens since 2011. 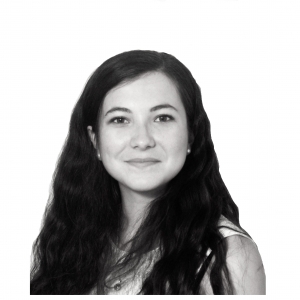 Having completed two years as a Legal Officer at the Regulatory Authority for Energy (RAE) within the International Affairs and Energy Planning Unit, Ioanna is currently working as a freelancer, participating in EU energy law and policy projects. Her mother tongue is Greek, she speaks and writes English and German fluently and is an independent user of Italian as well. Valerie is enrolled in a trilingual European Bachelor of Law programme at the Lille Catholic University, which includes French Law, International and European Law as well as German Law. She intends to pursue a career in legal and political consultancy with a focus on international security issues. At Spark Valerie has completed a three-month traineeship, and currently works part-time for Spark alongside her legal studies. Her native languages are German and Dutch and she also speaks English and French. Welcome! This is our dedicated consultancy team. If you would like more information about Spark and our work, please get in touch!